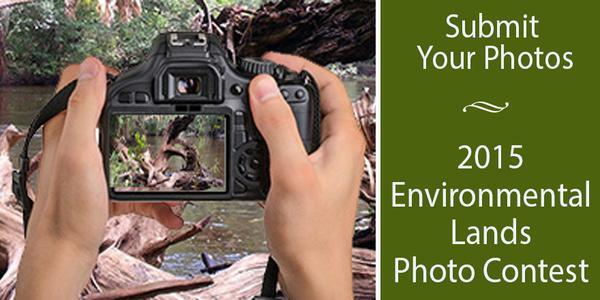 The Jan K. Platt Environmental Lands Acquisition and Protection Program’s (ELAPP) Calendar Photo Contest invites all photographers (amateurs and professionals of all ages) to unlock the many natural treasures hidden within more than 60 Hillsborough County’s nature preserves. All photos must be taken at a Hillsborough County ELAPP Site. View the list of all sites at Parks and Facilities Information and Locations, use the “Preserved Lands” facility type search criteria. Each photographer can submit up to five photos via email no later than November 2, 2015. Besides being included in the 2016 ELAPP Calendar, the top 13 photos could be featured in County Center window cases, posted on the County’s website, and used in other Hillsborough County publications. For the full contest details, rules, and judging, visit http://hillsboroughcounty.org/index.aspx?NID=4020 or contact Conservation & Environmental Lands Management at 813/672-7876.